BN Changes Lives – And We Need YOU!!! 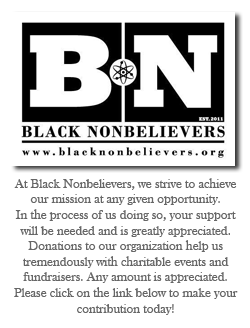 | Black Nonbelievers, Inc.
BN Changes Lives – And We Need YOU!!! Black Nonbelievers is proud to announce our “BN Changes Lives” campaign. We want to hear from you about how helpful we have been to your transformation out of religion and finding community, which will be featured on our website and social media platforms. Let’s call these for what they are – TESTIMONIES! This is also being launched in conjunction with a $3,000 matching donation from Polaris Financial. We cannot do our work without you, and this generous offer combined with your tax deductible donation will help tremendously! To send us your story, click Contact Us on our website. Submissions should be brief, but as descriptive as possible. You can remain anonymous if you wish, just be sure to specify. Entries may be edited. From hosting monthly gatherings to discussing atheism on the airwaves, Black Nonbelievers IS changing lives. But don’t just take our word for it, our members will tell you themselves. Whether it is through your time and/or donation, you can help others find their voice today! 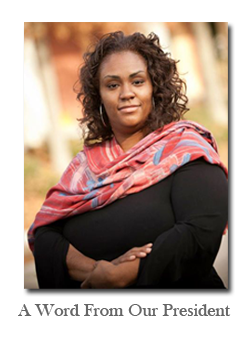 *Black Nonbelievers (BN) is a 501 c3 non-profit fellowship of nonbelievers headquartered in the Atlanta area that is dedicated to providing an informative, caring, festive and friendly community. We connect with other Blacks (and allies) who are living free of religion and other beliefs, and might otherwise be shunned by family and friends. Instead of accepting dogma, we seek to determine truth and morality through reason and evidence. BN Supports the Atlanta March! We’re Still Cruising – Are YOU?? ?